Acer’s new Swift series features a compact and sophisticated chassis, thin design, and a very impressive battery life. 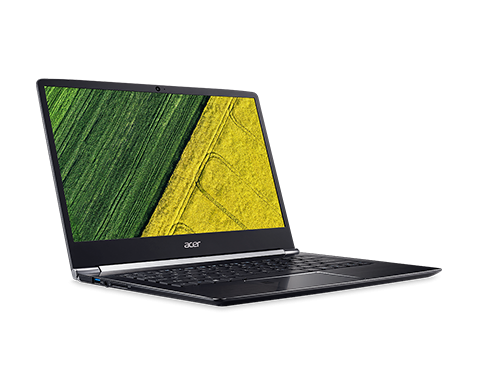 If you want a portable device that weighs no more than 3-lbs and has a profile of just 0.57-inches, the Acer Swift 5 SF514-51-54T8 is the model to buy. It has a 14-inch display and backlit keyboard. This is a very nice looking notebook that comes with a stylish metal cover. The touchpad measures 4.1 x 2.6-inches and is surrounded by a chrome strip. Expect all of your inputs to be executed precisely and quickly. It supports multi-touch gestures as well. Also included is an embedded fingerprint reader for security. Acer has, believe or not, managed to stick a 14-inch display into this 13-inch laptop. Despite this, the overall design is streamlined and neat. The screen mode is full HD and the resolution is 1920 x 1080. Stay connected to the internet with Wireless LAN (IEEE 802.11 ac). Networking technology includes Gigabit Ethernet and Bluetooth 4.0. The network connection device achieves a maximum gross transfer of 866-Mbps. With an Intel Core i5 processor and 8GB of memory, you can get a lot done with the Acer Swift 5 SF514-51-54T8. It performs very well for its size and price. The processor is an i5 7200U model with a speed of 2.50GHz. There is good storage as well, as the notebook comes with a 256GB Serial ATA / 600 drive. Not only does the drive come with sufficient storage, it’s also fast. The result of all of this powerful hardware is a responsive system. All of your applications will launch quickly and run efficiently. While you don’t get a dedicated graphics card, the integrated Intel HD 620 graphics handles is still pretty impressive. It’s the best you’re going to get in terms of integrated graphics. You might even be able to enjoy some older games that aren’t heavily reliant on graphics performance. The Acer Swift 5 SF514-51-54T8 maintains a decent temperature – around 77 degrees F. Even during overload, the laptop does not get too hot. Since this is a smaller notebook, power consumption is very low. It doesn’t consume more than 10-watts when idling and 37-watts when active. The maximum power supply wattage of this machine is 45-W. The three-cell Lithium-Ion battery has a 4670 mAh capacity, and can last for an impressive 13 hours. So, what is the verdict? A successful combination of an elegant design, glossy IPS display, and good performance in an affordable price. It’s no wonder why so many Acer Swift 5 SF514-51-54T8 reviews are positive. 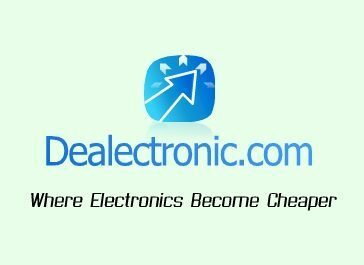 Acer promo codes help you afford laptops or desktops that you might not otherwise be able to afford. Don’t allow yourself to get worried over price. If you want the Acer Swift 5 SF514-51-54T8, discounts are available.